GEAR TEST: Blue Microphones enCORE Series LIVE with Me Like Bees! Learn about the best dynamic live microphones on the market, including the Shure SM57 and Shure SM58, as well as countless other options for your live sound. We go hands-on with the dynamic stage mics in our in-depth product reviews and also in real world testimonials from artists testing out the latest live microphones on the market today. 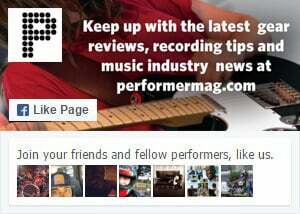 Performer Magazine’s team of experts also shows you the best way to use your live mic on stage, how to getter better sound from the mics you already have, and how to pick the best new dynamic mics you can buy for your gigs. We explore the differences between wireless mics and wired mics, how to mic vocalists, horn sections and drums, and which live mics we recommend for your band’s next tour.